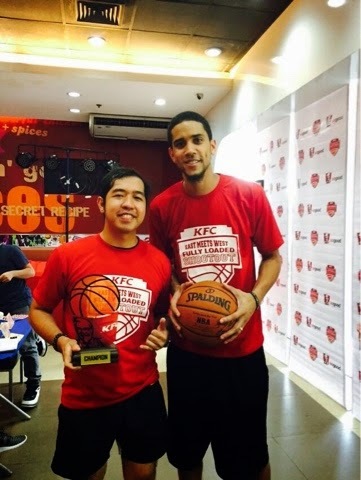 For the first time, yours truly met the PBA basketball superstar Gabe Norwood. And yes, we played basketball together! He was our teammate and team captain when we played the sports. And also for the first time, the runner Runner Rocky turned as a basketball player. I belong to the red team called as the Team East and we fought the blue team which was known as the Team West. This was inline with the KFC's launch of their two newest menu namely the Korean Bimbimbap and the Texas Spicy Barbeque in the event dubbed as "KFC East Meets West." #Selfie: #Jadine for "Para Sa Hopeless Romantic"
April 2015 - "Conquering More Challenges"